While the stifling heat and humidity of summertime in Florida send people in the air-conditioned indoors, fall is the perfect time of year to get outside and move. As temperatures cool down to the 70s and 80s this time of year, I encourage you to fit fitness into your schedule. Whether you’re a snowbird or year-round resident, there are plenty of ways you can stay active here in New Port Richey. 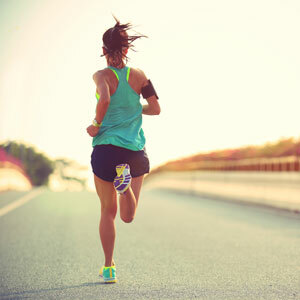 You don’t have to run a marathon to get in shape. Some studies suggest that as little as 10 minutes of exercise a day can improve your health. That’s remarkable and particularly good news for those who have been a bit on the sedentary side. Easy ways to fit a bit of fitness into your day include taking the stairs instead of the elevator or going for a brief walk with your favorite canine. Forming healthy habits that you will likely adhere to is what’s most important. Choose any exercise that you enjoy and one that gets the heart pumping. Remember, if our heart is not worked and doesn’t get pumped, it’s not going to be able to produce oxygenated blood to every single cell, tissue and muscle in our bodies. Chiropractic adjustments also play an essential role in your fitness regimen. Why? Chiropractic can help you enjoy better function so you can move better. It also can help to boost performance and prevent injury. Contact the practice today to book an appointment.